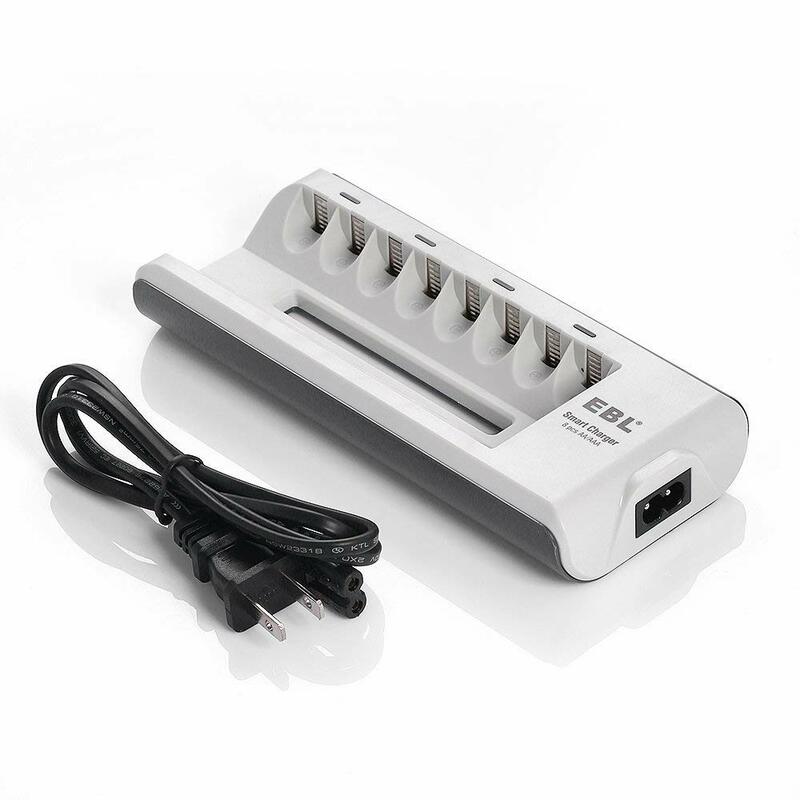 Output: DC 2.8V 1000mA,0.4V ( output voltage more than most similar charger means faster for charging). 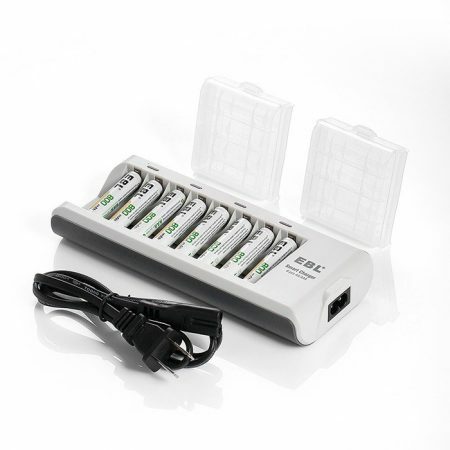 1 x EBL battery charger; 1 x user manual; 1 x power cable; 8 pcs AA batteries. 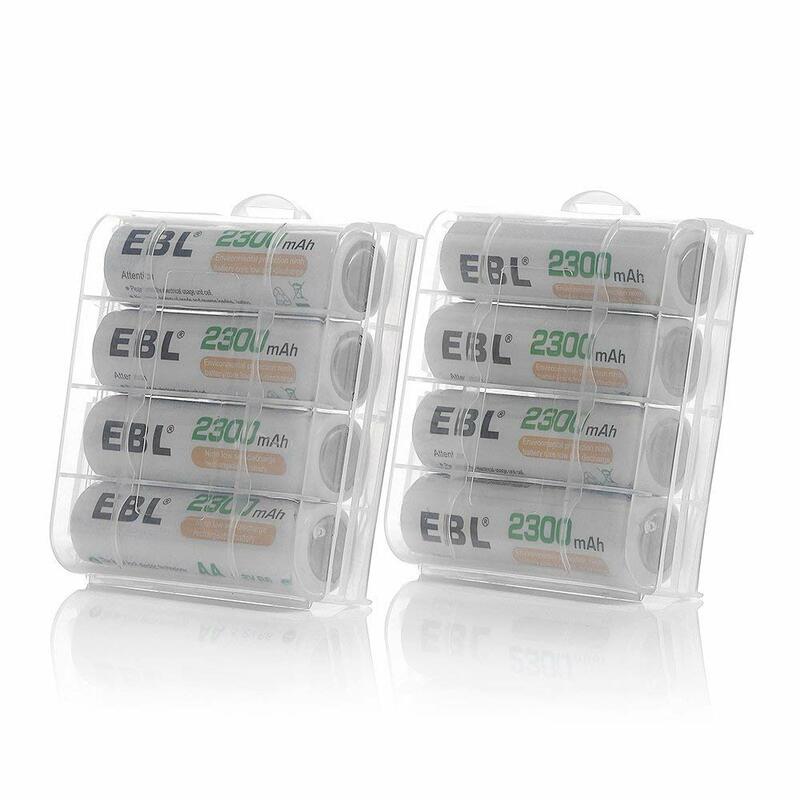 Certified by CE and ROHS, EBL brand batteries, such as AA/AAA Ni-MH/Ni-Cd rechargeable batteries, have most reliable quality and good reputation. 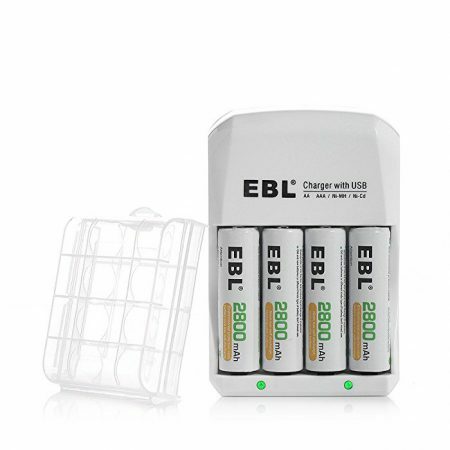 EBL 808 battery charger can charge up your rechargeable batteries which are out of power, which complies with the cycle use of environmental protection concept. 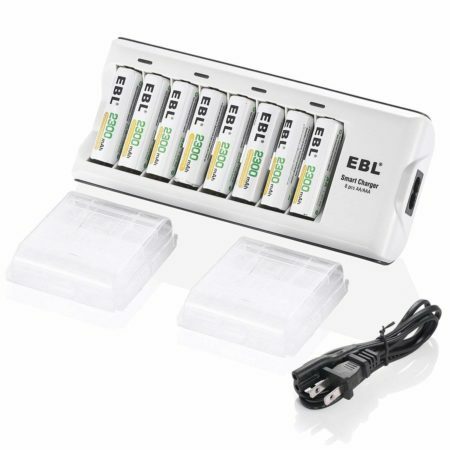 And the charger can charge 2/4/6/8pcs AA/AAA Ni-MH/Ni-Cd batteries. 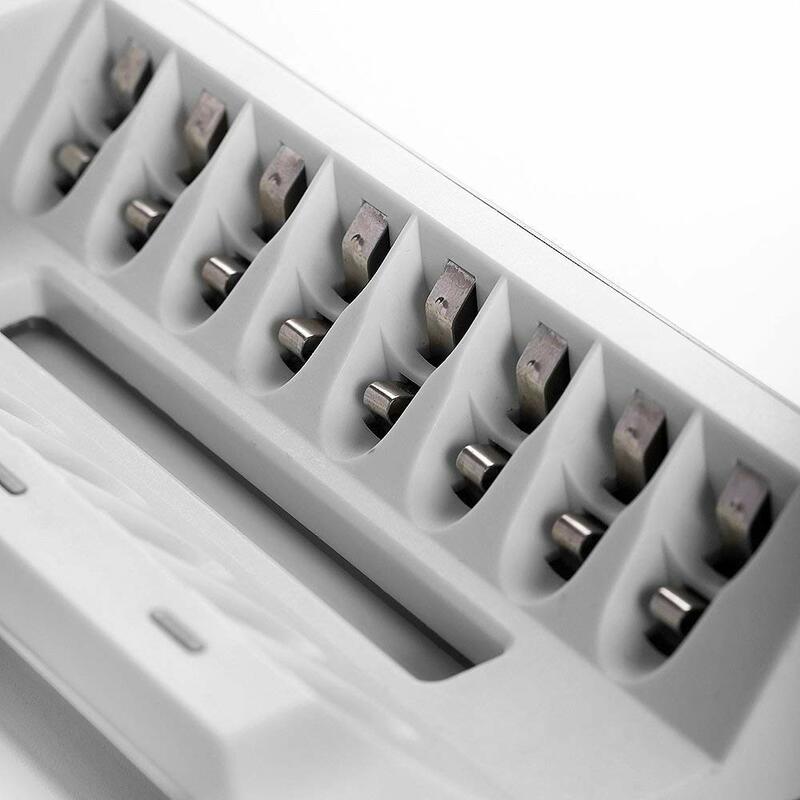 The automatical 100-240V worldwide voltage universally-used charger is applicable to a wide variety of devices. 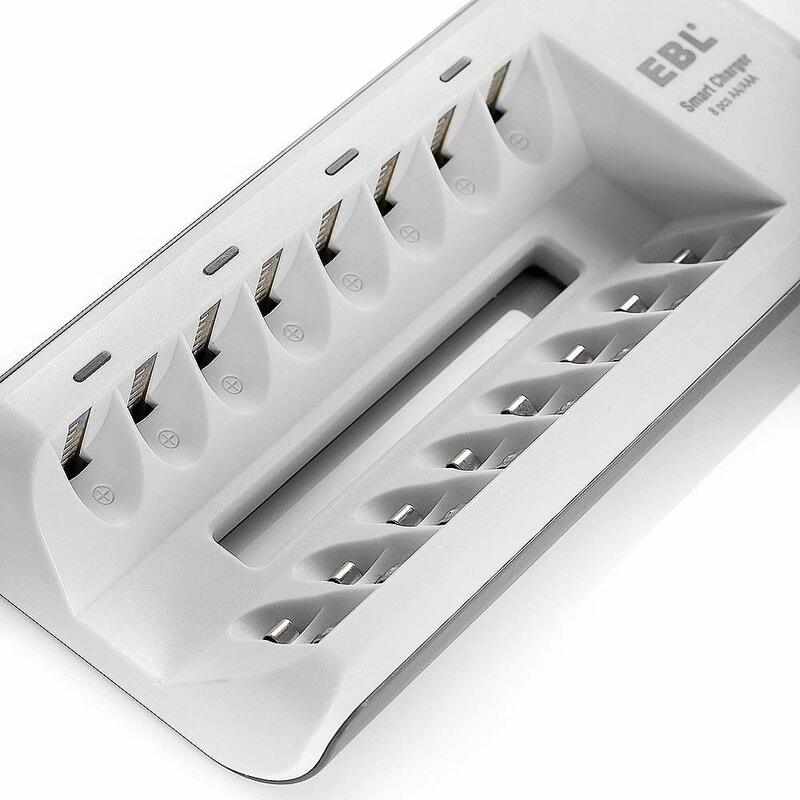 Such wide compability is unprecedented. 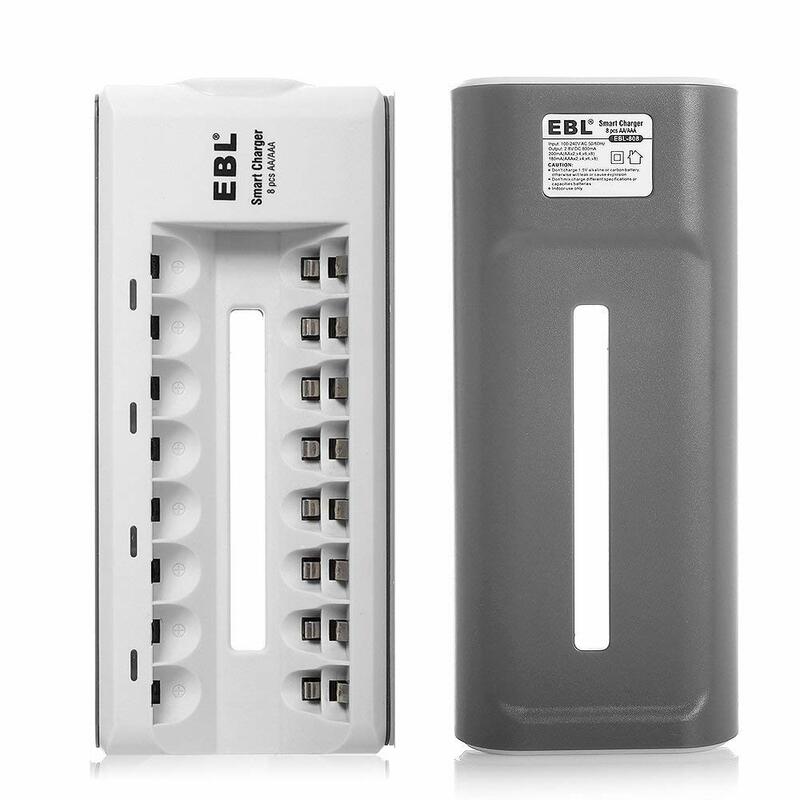 Further more, the EBL smart charger is completely safe and highly efficient by its MCU control technology which ensures constant current and voltage for a safe model. 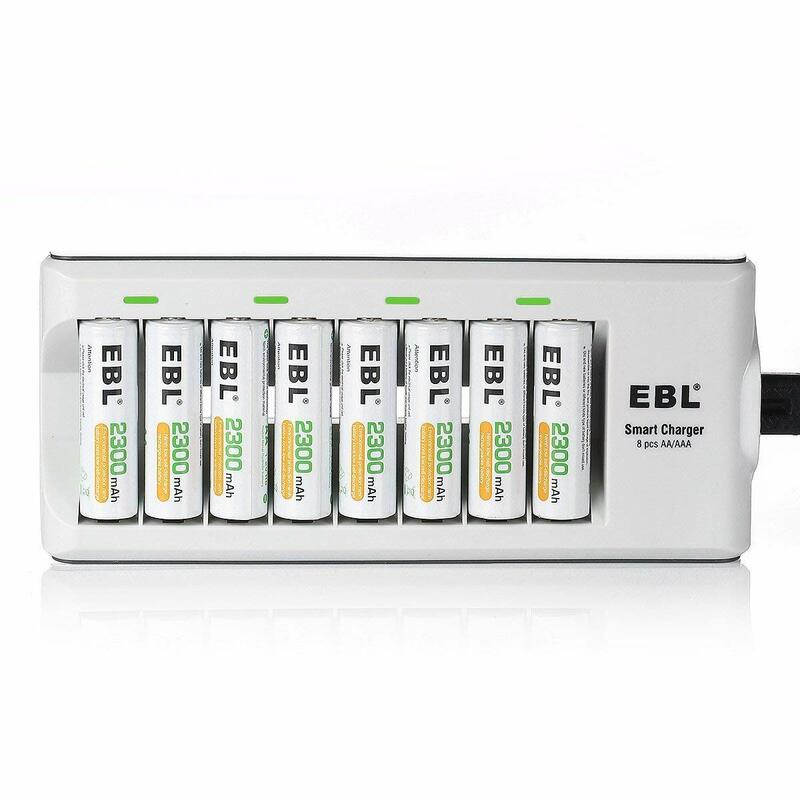 Indicator light turns into green once the battery voltage reaches 3.4V for over voltage protection purpose.